After five seasons of melodrama, Downton Abbey often feels like a parody of itself. But now an actual parody of the PBS staple is coming to DirecTV’s Audience Network on October 28. 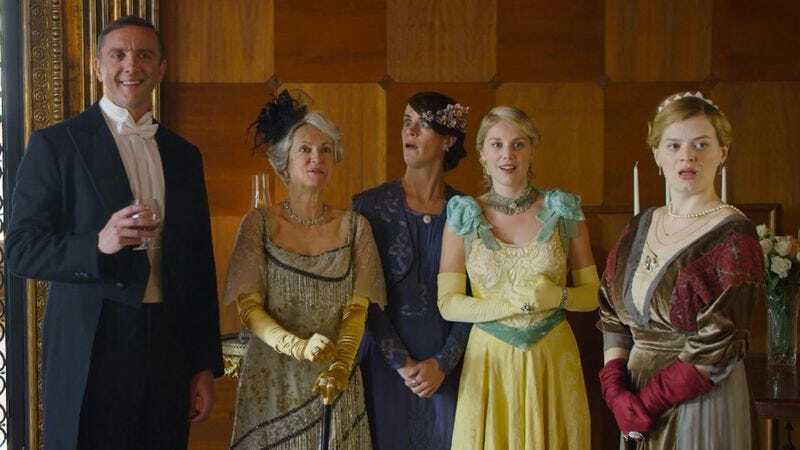 The Britishes satirizes not only Downton Abbey but all the ridiculously out of date sensibilities of the British landed gentry in the early 20th century. The show comes from Big Breakfast studios, the production team behind CollegeHumor Originals. The Britishes will be the company’s first project to air on TV. Writer, director, and Big Breakfast president Sam Reich calls the show “a love ballad to British comedy,” while noting that Serafinowicz and Sasso “go together like Marmite and butter. It’s a British thing.” The series will consist of eight sketches—one of which is already available via YouTube, as seen below. “The Charming Mr. Hitler” perfectly captures the way Downton Abbey loves to wink-wink-nudge-nudge upcoming historical events with an overblown sense of irony.